What actually constitutes the Long Depression has been debatable, for at first it was called the Great Depression, and then that title was transferred to the 1930s. Consequently, some limit the term Long Depression to the worldwide price recession beginning in 1873 and running through the spring of 1879. Six years is not exactly a “long” depression, that in our analysis is 26 years – the typical maximum period which Japan entered following 1989.95. Europe appears to be completing a 13 year depression from 2007 into 2020 thanks to austerity – deliberate deflation to support bondholders. 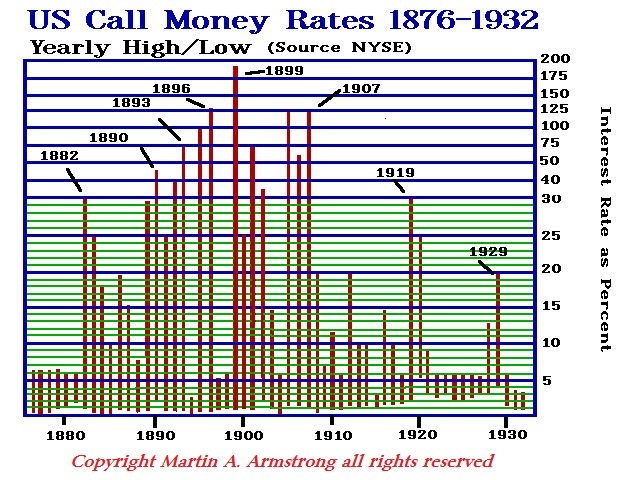 Domestic analysis of the Long Depression event of the 19th century USA centered on the Panic of 1873, which the inflationists/Silver Democrats dubbed this financial crisis the Crime of 1873. Of course, this view ignored the global economy and this set the tone for a 26-year economic depression plagued by numerous financial panics that finally culminated in the Panic of 1893, which were devastating to say the least and the Panic of 1899 with the peak in US interest rates reaching nearly 200% in a situation similar to Greece today. Unfortunately, as always, analysts try to reduce everything to a single cause and effect plus they wear blinders like a horse only looking at this six-year period 1873-1879 with exclusive domestic analysis. Much of this contraction of this period was traditionally attributed to a monetary contraction leading to the resumption of specie payments in 1879. This was an extremely narrow view for this had the impact of introducing austerity, but that was at the end of the period. 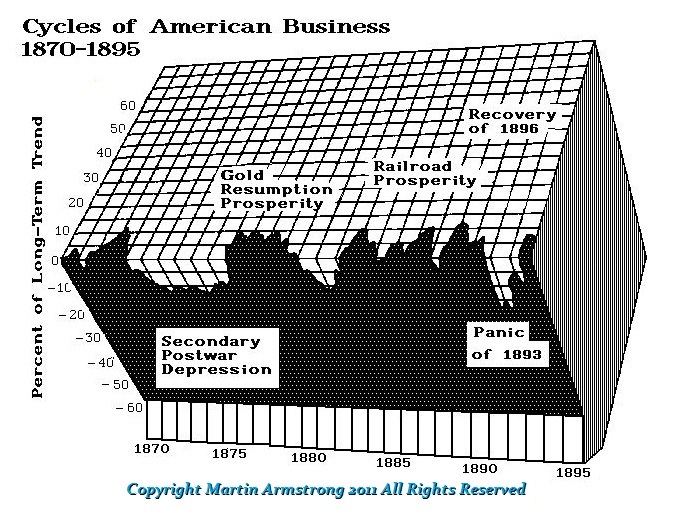 The bubble going into the event peaked with the Panic of 1869 and the birth of the Transcontinental Railroad on May 10, 1869, and of course the Gold Panic where Jim Fisk attempted to corner the market forcing gold up in price. The scheme was that when the USA would return to a gold standard they would have to accept the market price. 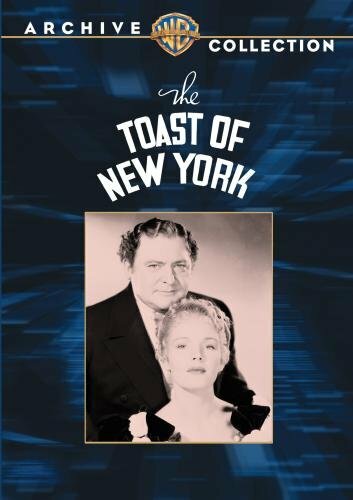 You can watch the old black & white film Toast of New York on this event which inspired me as a kid to explore financial history. The Transcontinental Railroad spawned a wave of innovation that unfolded as creative destruction. Mail order companies began to develop. Previously in 1845, Tiffany’s Blue Book (the jeweler) was the first mail order catalogue in the United States. However, after the development of the Transcontinental Railroad, what emerged was the internet of the 19th century whereas trains now opened the continent as a market. By 1872, Aaron Montgomery Ward of Chicago, produced a mail order catalogue for his Montgomery Ward mail order business. Like Amazon today, Montgomery Ward began selling over 20,000 items in a 540-page catalogue directly to customers reducing prices and eliminating local stores, exactly as Amazon has eliminated local bookstores. 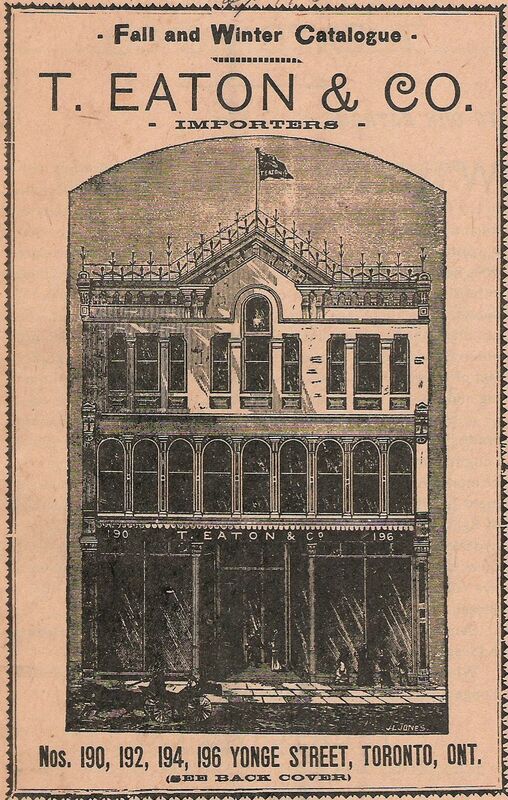 In 1869 in Toronto, Irish immigrant Timothy Eaton founded T. Eaton Co. 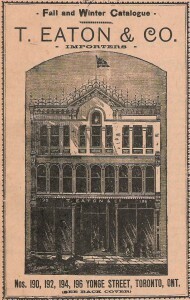 The first Eaton’s catalogue was a 34-page booklet issued in 1884. However, it was Richard Sears who began a business selling watches through mail order catalogs in Redwood Falls, Minnesota in 1888. By 1894, the Sears catalog had grown to 322 pages, offering sewing machines, bicycles, sporting goods, and even automobiles that produced from 1905–1915 by Lincoln Motor Car Works of Chicago. 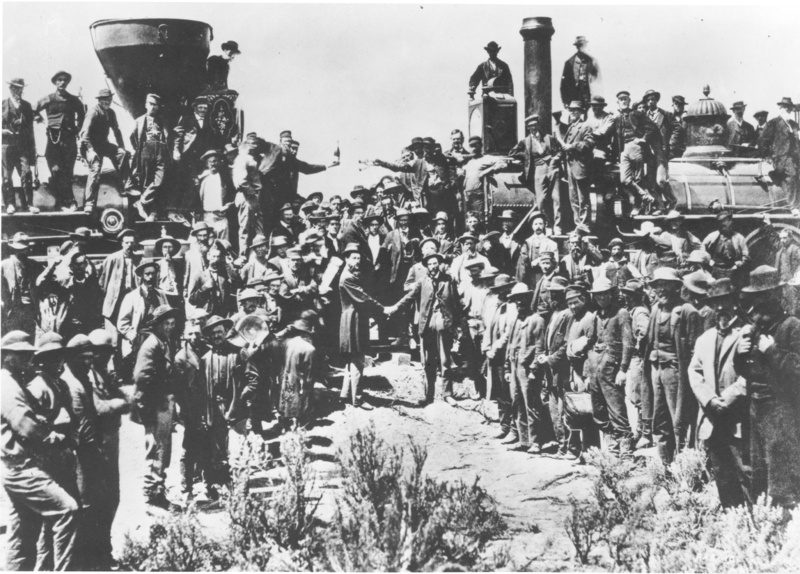 The period of the Transcontinental Railroad lead to creative destruction event similar to the internet today whereas on one level the economic numbers looked good, yet unemployment was gradually rising. The price deflation was caused by innovation, as well as a decline in demand, laid the seeds for Marxism that people supported for they did not understand what was happening. They blamed industry and this fueled the development of unions as well in addition to working conditions. Hence, it was this period of a Long Depression that ignited social change insofar as it was a shift in employment to from agriculture to industrialization. Employment within agriculture was 70% in 1850, which declined to 40% by 1900, and would ultimately crash to 3% by 1980 all because of innovation from fertilizers to the combustion engine. This economic evolution of the real Long Depression (1873-1899) created a “depression” for many as unemployment rose yet monopolies grew as did corporate profits for many in the right field. It wiped out Philadelphia as the financial capitol of the United States and J.P. Morgan would move that to New York City with his innovation. From this highly volatile period, as we are entering today, what emerged of socialism/Marxism that burst to the surface producing Coxley’s Army which marched upon Washington following the Panic of 1893. It was this march that led to the idea of socialism for FDR took most of the demands first argued by Coxley that government should create jobs for the unemployed. This led to the Antitrust Legislation and the Progressive Movement of Teddy Roosevelt. 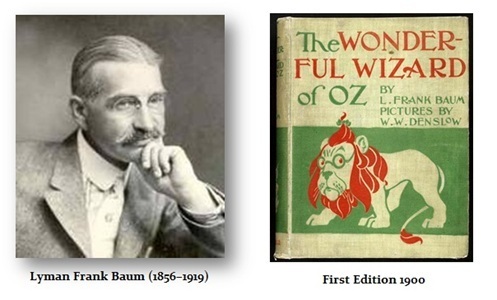 Coxley’s March became the subject of Lyman Baum’s Wizard of Oz – We’re off to see the wizard the wonderful wizard of Oz (Congress) following the Yellow Brick Road (gold standard & austerity). This economic event created serious change. So those who argue that there was great expansion, yet ignore the social and global impact of the Long Depression, became commonplace. Today, the drive once again for austerity risks tearing Europe apart at the seams. This is what Brussels is dangerously doing and the surrender of Greece exactly opposite of their election and referendum mandate threatens to create civil war for this policy of austerity will once again destroy the social fabric of Europe. Yes, there was an extraordinarily large expansion of industry, railroads, and physical output during the Long Depression fueled at the same time as a wave of creative destruction, but at the price of shifting trends within employment as we are seeing today with the internet. People lacking new skills to make the transition will be left behind and will blame something other than the trend which is typically corporations. So we once again have people looking at corporate profits and excess cash levels, yet there is rising unemployment, not to mention politicians demanding to raise minimum wages, and the introduction of Obamacare that provide the incentive to replace such workers with robots or client automation – “Press 3 to speak to…” etc. The Long Depression was a conflict between innovation and the clash between Silver Democrats funded by silver miners to inflate for their benefit that caused silver to be overvalued leading to silver imports and gold exports. The Silver Democrats thought they could force the price of silver higher to 16:1 to gold and Europe would have to accept the higher prices but the reverse unfolded. They sent silver to the USA and exchanged it for gold which to them was undervalued. By 1896, J.P. Morgan had to organize a gold loan to prevent the USA from going bankrupt. This led to the famous speech of President Grover Cleveland who could see the world in a connected manner. He observed that capital could flee the nation or hoard and refuse to invest as we are witnessing today. 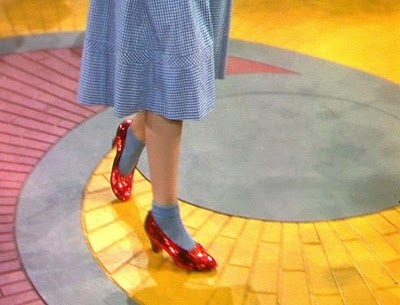 But labor, he warned, could neither flee nor hoard itself. Therein lies the danger we face today for social change. Grover Cleveland also said of taxes that it was unjust for a government to tax the people beyond what was necessary for it becomes “ruthless extortion and a violation of the fundamental principles of a free government.” Hillary Clinton’s economic plan, force corporations to raise wages – not reform government and reduce payroll taxes which is in the hands of politicians. Wages are not. We are plagued by people who want to rule the world yet are clueless about how it functions.